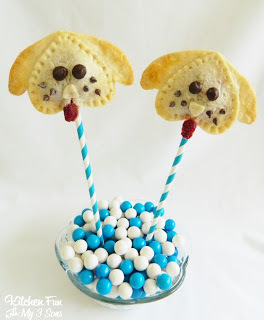 Pillsbury asked us to come up with some fun pie pop ideas and we are on our last day sharing our pie pop creations! 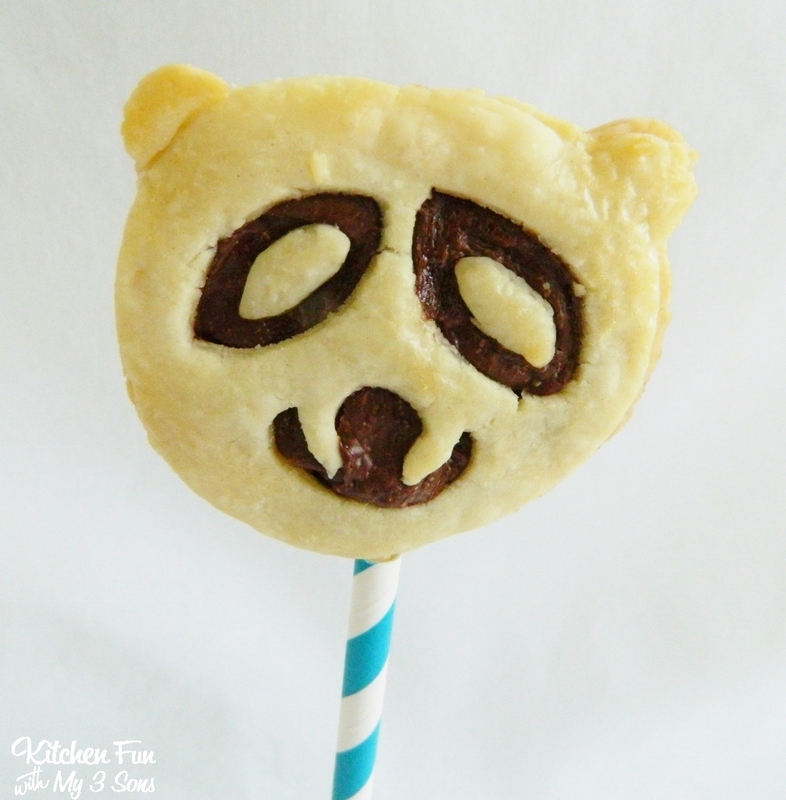 We made these Panda Nutella Pie Pops and my boys loved them!! I am sure the Nutella filling was a big part in why they loved them so much! Preheat the oven to 375. Roll our your pie crust. 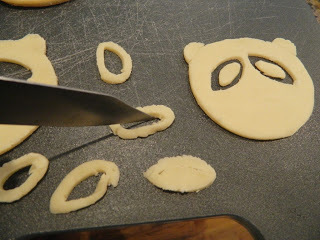 We used a round cookie cutter to cut the bottom of the panda face. Leave the top and cut that part out with a knife to shape the ears. Take that piece and use it as a guide to cut out the rest. Cut out the eyes and also use that piece as a guide for the rest…. Cut out a mouth. 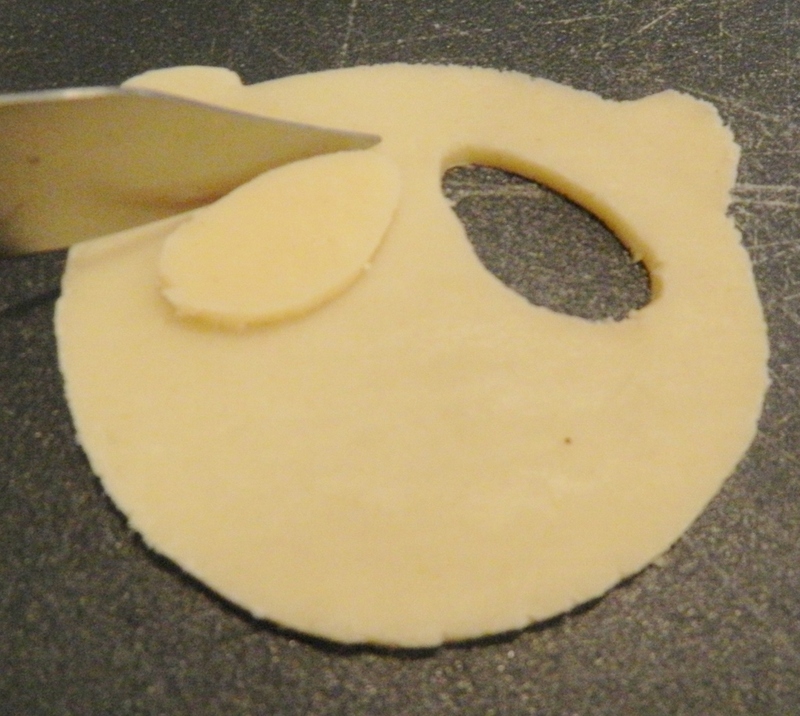 We took the cut out pieces and cut out the centers to make the inside of the eyes like this…. Place the panda cut outs on a cookie sheet lightly sprayed with cooking spray. Spoon on Nutella in the center. 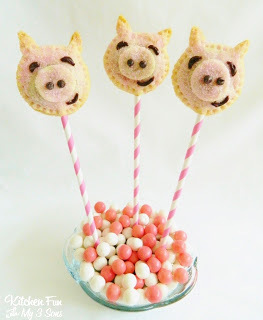 Press in a lollipop stick. Place the panda face on top and then the centers of the eyes. 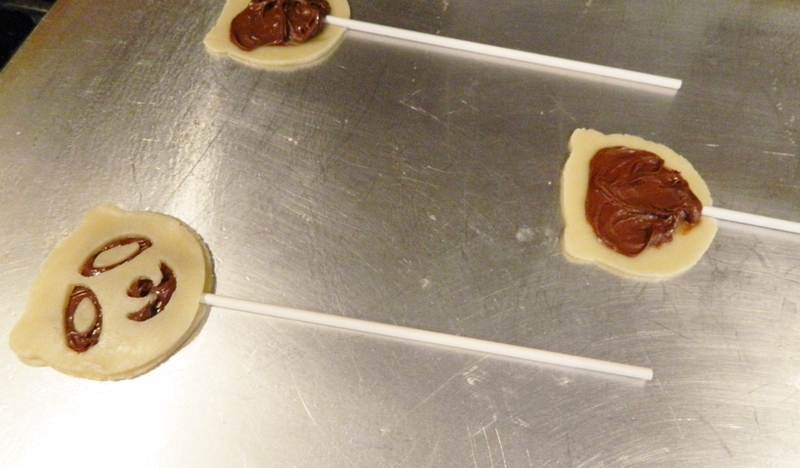 It will look like this before baking…. Bake for about 15 minutes until lightly browned. Here is a close up…. Note…we were going to use mini chocolate chips for the pupils, but forgot. 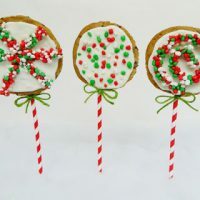 You could add this after the pops are baked attaching with cookie frosting. Looks cute either way. 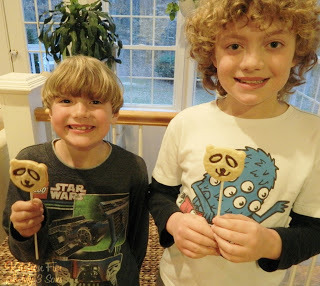 Here are my 2 older boys with their Panda Pie Pops! Make sure to check out our Piggy Pie Pops HERE! 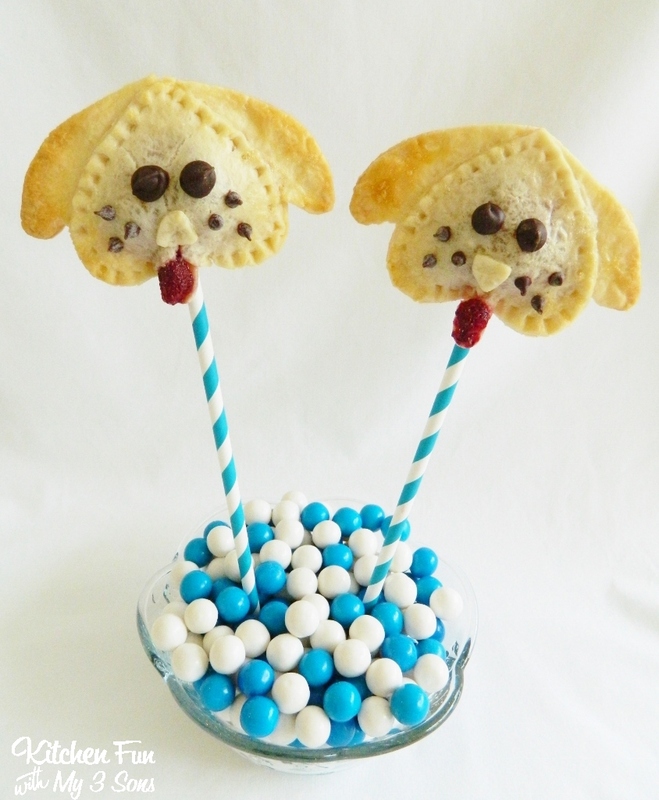 our Puppy Pie Pops HERE! 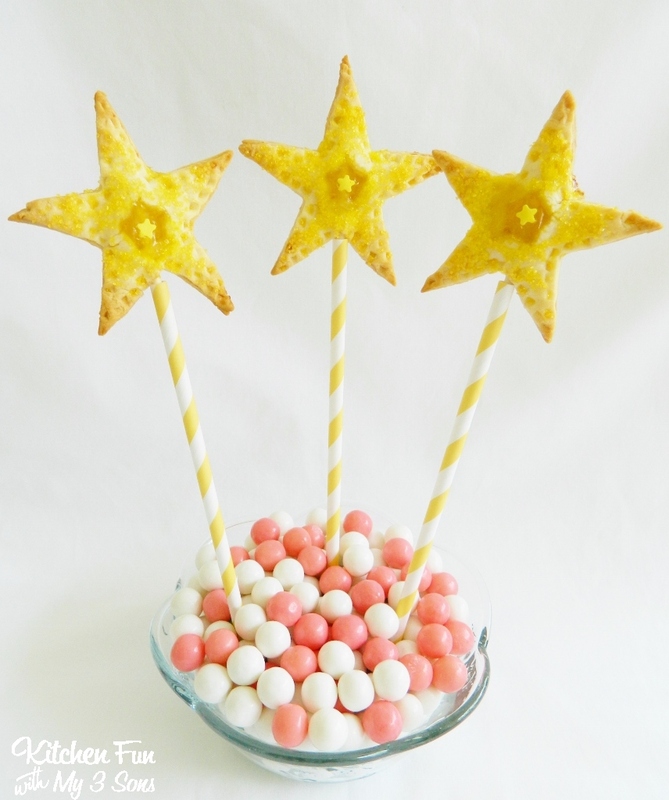 and our Princess Wand Pie Pops HERE! We have had so much fun making our Pie Pop creations and hope that you have enjoyed them as well! 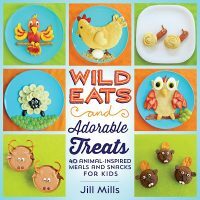 Wild Eats & Adorable Treats releases TODAY!! cute cute cute! 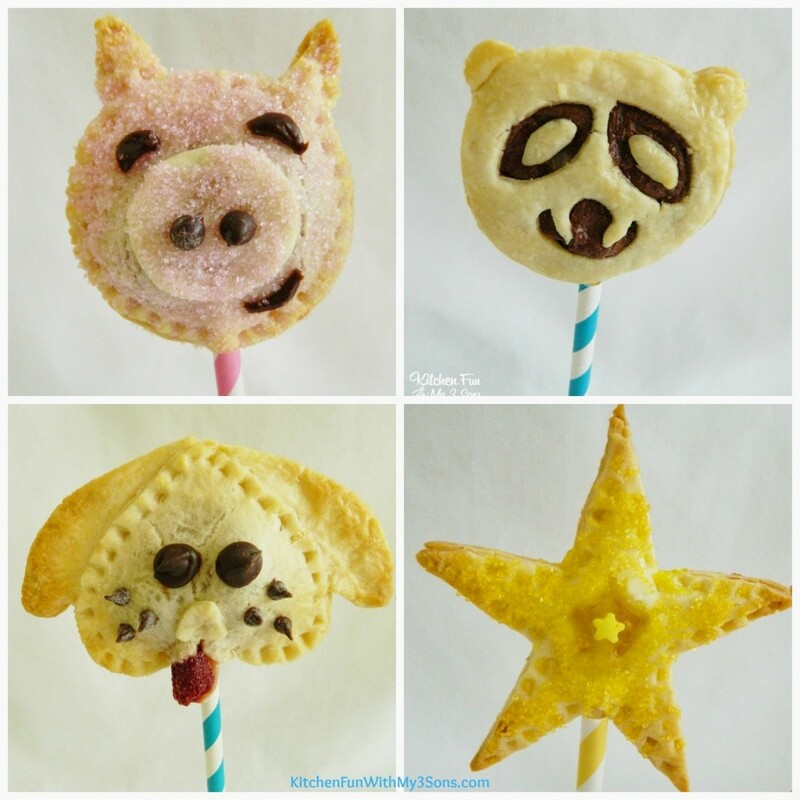 love all your pillsbury creations, great ideas! 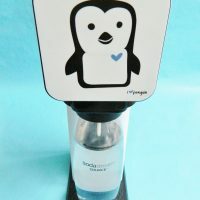 These are so adorable! Great job on the whole series! They are all so cute. I don't even want to imagine what it would look like if I tried to cut out such tiny details. Jill, you are truly gifted! 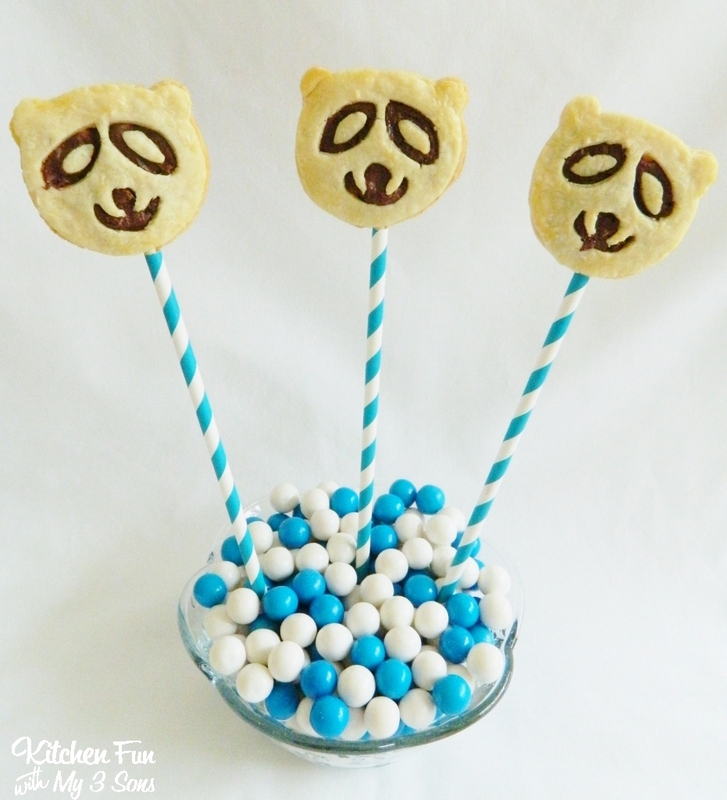 These are SO creative! Those boys of yours are having so much fun I'm sure! Keep up the great work!